Kerkor "Kirk" Kerkorian was born on June 6, 1917 in Fresno, California. His parents were dirt poor Armenian immigrant farmers trying to survive the Great Depression. When Kirk was three years old, the family lost their land. They moved to Los Angeles to seek better prospects. His father eventually operated a fruit stand. The family was so poor that Kirk was forced to drop out of school in the 8th grade to get a job. When he wasn't working, Kirk took up boxing as a hobby. His older brother trained him to the point where Kirk was able to win the Pacific Welterweight boxing championship under the name "Rifle Right Kerkorian". When he wasn't boxing, he was installing water hearing furnaces. At 22, he installed a furnace for a many name Ted O'Flaherty who happened to be an amateur pilot. One day, Ted invited Kirk to go flying with him along the California coast. Something magical happened during that flight because, from that point on, Kirk was hooked on planes. With World War II looming, Kirk knew that he would be the perfect age for an eventual draft that would place him in the general infantry division. Fearing the infantry would not have a high survival rate, Kirk started taking flying lessons in the Mojave Desert from a woman named Pancho Barnes. He couldn't afford the lessons so as payment, he agreed to milk and look after Pancho's cows. It took six months for Kirk to earn his pilot's license. He quickly joined the British Royal Air Force and began flying cargo missions that brought supplies from North America to Scotland. The planes he flew had fuel capacity for 2300 mile trips. The average length of the supply missions was 2200 miles. Not a lot of room for error. One out of every four planes that set out on this journey crashed. Kirk was one of the lucky ones. Just seven months before he joined the Royal Air Force, Kirk had never been in a plane and had barely ever left California, let alone the United States. By the time WWII was over, he had flown 33 different types of planes, logged countless hours in the air and traveled to four continents. During the war Kirk was very thrifty with his wages. In fact, he managed to save most of everything he was ever paid. When the war was over, Kirk spent his entire savings, $5000, to buy his own Cessna plane ($5000 in the mid 1940s is the same as $67,000 today). He then began working as a general aviation pilot chauffeuring rich people from Hollywood out to Las Vegas and back. On one of these early piloting jobs, Kirk found himself in Las Vegas, Nevada for the first time. He immediately became hooked on gambling. Specifically, craps. In 1947, Kirk took $60,000 he managed to win at the craps tables (roughly $635,000 today), and purchased a small air-charter service company called Trans International Airlines that specialized in transporting gamblers from Los Angeles to Las Vegas. Over the next 20 years, Kirk's business boomed. He expanded by buying up more planes and adding new routes up and down the west coast. In 1968, he sold Trans International to the Transamerica Corporation for $104 million (roughly $707 million today). Aviation wasn't Kirk's only business interest. Back in 1962, he bought 80 acres of land in Las Vegas for $960,000 ($7.5 million). Four years later, his plot of land was the new home for a little casino called Caesars Palace. Kerkorian didn't actually own Caesars Palace, he simply rented them the land it was built on for $2 million per year ($15 million today). When Caesars was bought in 1968, Kirk agreed to sell the land for a $9 million payday ($61 million today). One year before the Caesars sale, Kirk purchased 82 acres of land on the strip for $5 million and began construction of the International Hotel. When construction was complete, the International was the largest hotel in the world. Barbra Streisand and Elvis were the hotel's first performers. Elvis sold out every single show, 4200 seats per show, for 30 days straight. Kirk soon came to own the Flamingo Hotel. He sold both the Flamingo and the International to the Hilton Hotel Corporation. In 1969, Kirk bought movie studio Metro-Goldwyn-Meyer. He then opened the MGM Grand Hotel in Las Vegas. Once again, he broke the record for world's largest hotel. This is not the MGM Grand we know today because in 1986, Kirk sold his MGM Grand properties in Las Vegas and Reno to Bally Manufacturing for $594 million ($1.3 billion today). The Las Vegas property was renamed Bally's. He then built the MGM Grand most of us know today. In 2000, Kerkorian bought Steve Wynn's Mirage Resorts for $6.4 billion. In 2004, he bought Mandalay Resorts for $4.8 billion. Today, MGM Resorts International owns the Bellagio, the current MGM Grand, New York – New York, Circus Circus, Mandalay Bay, The Luxor, The Excalibur and the Mirage. They now also own the newly built Las Vegas CityCenter complex. During the last decades of his life, Kirk Kerkorian literally owned more than half of all the hotel rooms in Las Vegas. Kirk lived most of his later years on a 30 acre estate in Beverly Hills. He almost never gave interviews and rarely appeared in public. He donated $180 million to his homeland of Armenia after the country experienced a devastating earthquake in 1989. His charitable foundation distributed more than $400 million to various causes over the years. Despite performing these impressive acts of charity, Kirk has famously never allowed anything to be named in his honor. Kirk Kerkorian died earlier today at the age of 98. His most recent personal net worth was $4.2 billion. That's a far cry from the dirt poor Fresno farm boy he started out as! During his life, Kirk was a boxer, pilot, war hero, gambler, hotel tycoon, auto tycoon, movie studio tycoon, philanthropist and much more. 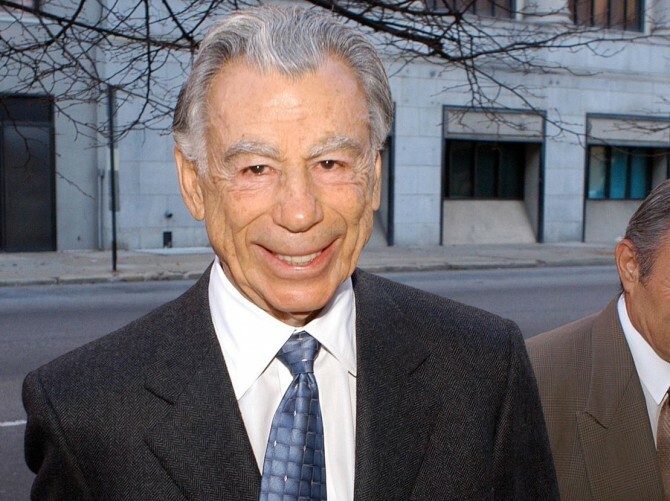 We should all be so lucky to live such an impressive and long life as Mr. Kerkorian. Rest in peace! Why Are Tech Billionaires So Boring? The tech industry has produced more billionaires that any other industry. This year alone, tech created 11 new billionaires. And yet, there is something missing from the stories of how this group of self-made men made their fortunes.